I love exploring new things but at the same time, I do it with caution. Especially when it comes to food, I want to discover new eating places but I consider my budget as well. There's this new place at Marquee Mall which caters different food in one place but at the same time, everything's not in the expense of your budget. Simply put it as their food court. A very posh food court. We were invited at the opening of Food Choices at Marquee Mall. We get to discover the newest place to dine in the said establishment. We also had the chance to experience each of the food stall's bestselling product. During the opening, Girl Trends and Paulo Angeles were there too! 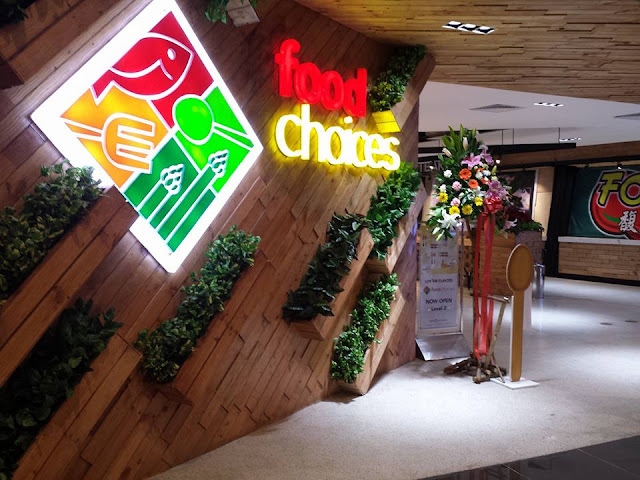 Food Choices is a very elegant food place for a mall unlike other establishments' usual food court. For me, this is the best food court I have seen by far. I like the chilling vibe it offers to customers making them want to dine in longer. It's clean, it's cozy and it's fun! Food Choices is not the typical food court setup. I personally like the high tables and chairs and the wooden partition and spaces in every area. It feels very laid back yet sophisticated. The food really looks delicious especially the "dinamita". Is that what you call the coated chili? I could be wrong. I also love the brick walls. Really rustic! I'll keep it in my radar. We all deserve a nice dining experience. And it seems Food choices at Marquee Mall gives that pleasure. Spotted the tokyo tempura. I just love shirmp tempura and dynamite. Shrimp lover ere too. Actually, seafood lover to be exact. It's in the 2nd floor of Marquee Mall here in Pampanga. Well, the venue looks nice. For a change, it does not feel like the typical food court. Even if there are some familiar names, at least the place looks more classy than what we are used to, say SM. :) Time to level up, malls of Metro Manila! Isn't this a mall by Ayala? I see Marquee Mall whenever I browse Sureseats. But this version is way good for the eyes. It's so refreshing to look at. I could just chill and dine in here almost anytime as long as money is there. Hahaha! I just hope people here would think about that. Yup, it's an Ayala Mall. It's not the typical food court like other malls and I they're digging the idea, right? Who would have thought that there's a kind of food court like this? It seems like an expensive beanery if you won't mention that this is a food court. I hope we'll have like this in Cebu in the hereafter. Yes, truly the place is elegant and classy and I enjoy the whole ambiance of the place very pleasing to the eyes. I also this kind of resto will reach Cebu. A very well laid out food court! The ambiance is well lit and cozy. I am surprised there is no rush at all. I am excited about the affordable food in such grand interiors. It's newly opened that's why there's no rush yet. I also wonder how it looks like with lots of people. Not really a fan of food court but this really interests me. I did not know they have Food Choices now in Marquee Mall. It was not yet opened the last time we were there. It is very convenient for hungry shoppers since you have a lot of food options in one place. I agree, though, you really have to be a bit cautious with the food you eat. That is why having something like this at the mall sure will give any foodie peace of mind. Have you been at Marquee before? Yup, it's newly opened in the day we were there. Judging based on the pictures you've shared, this foodcourt is indeed different from the concept of a foodcourt that we're accustomed to. The place looks elegant, I'm not sure though how the place would look during peak hours. Unfortunately, this place is far from Metro, will not be able to try this until we have our next trip up north. Hope Ayala Mall there in the metro can think of the same concept on their food courts there. what a great place to drop by and eat! Interestingly, I will visit Pampanga next week and I will be in Marquee Mall as well (coz I wanna try Kabigting haha).. I will surely check this out! Woah nice! I hope to meet Manila bloggers too. 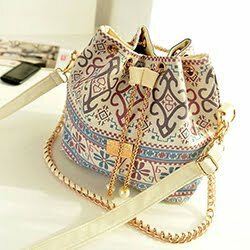 Is it for an event or a personal travel?